Life on the Farm: Originally a city girl, nail tech Suzanne Pelzer has been farming alongside her husband since 2007. 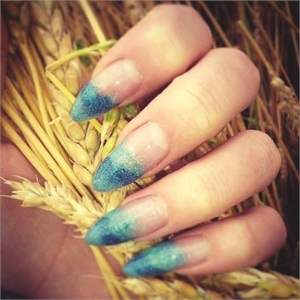 “I enjoy being in the spa world, but when I’m at home I’m the only girl around driving a tandem grain truck through the fields with stiletto nails,” says Suzanne Pelzer, a nail tech and the owner of Spa Cantik and Salon in Regina, Saskatchewan, Canada. Originally a city girl, Pelzer has been farming alongside her husband since 2007. “Our farm is located 29 kilometers north of Regina. We grain farm 4,300 acres of crops, which include mustard, durum, spring wheat, lentils, canola, peas, wheat, and flax. 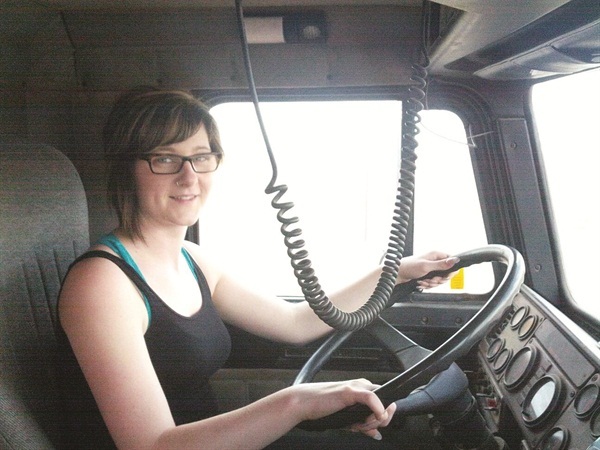 The province I live in is one of the biggest grain suppliers of the world,” she notes. “During harvest, on days I’m not at the spa, I usually truck grain from the combines back to the grain bins and unload it with the auger into the bins, then go pick up the next load from the combines when they are full.” On days she has spa duties, she cooks for everyone and takes suppers out to the fields. “ The thing I love most about being on the farm is how peaceful it is. I love looking out my kitchen window to see the blooming fields, especially a flax and canola field side by side with the canola being so yellow and the flax being such a pretty blue/purple. My favorite smell on earth is when the canola fields are in full bloom,” she says.